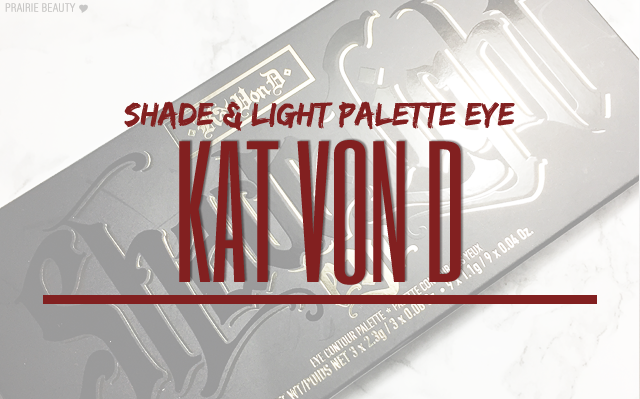 I've actually been planning on reviewing the Kat Von D Shade & Light Eye Palette for a few months now, but since it wasn't new it kind of ended up on the backburner. However, I decided that since there's been a bit of a spotlight put back on it based on some social media drama about dupes and whether or not copying-but-not-knocking-off is okay, it seemed like a good time to get this review out. Now, I don't want to really get into the drama, because I personally feel like there are good points to be made on both sides of the argument and I'm not interested in putting in my two cents, but I do want to tell you guys why I think that this palette is legitimately one of the best palettes on the market and one that I think is worth everyone who can afford to spending the money on. 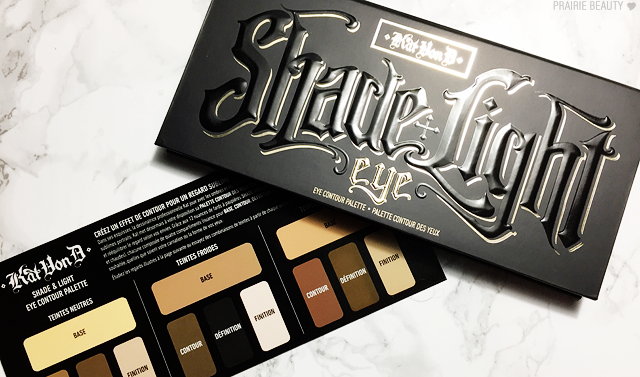 So if you want my thoughts on the pretty much iconic Kat Von D Shade & Light Eye Palette, keep reading! What you're getting when you buy this palette can seem a little bit underwhelming when you first look at it, I think. 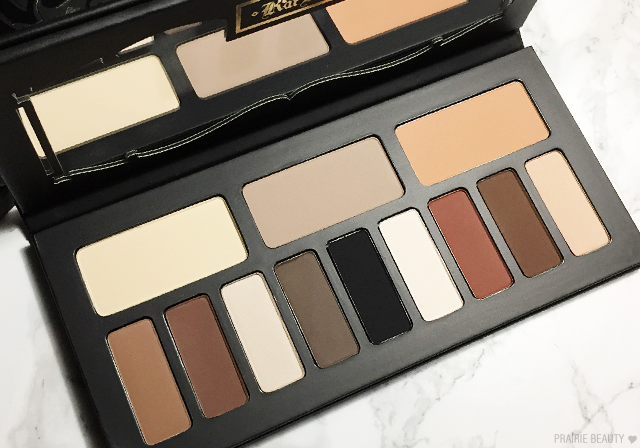 Because it's an all matte, all neutral palette, I think it really had to do something special to really be worth the price tag. Starting with the packaging, I think they managed to make it stand out despite it being all black cardboard packaging. 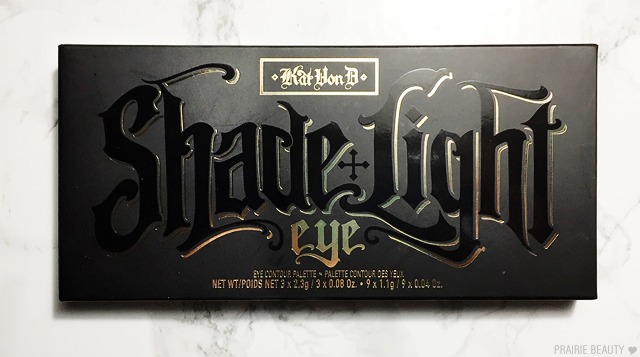 Kat Von D's signature style is definitely present here in the branding and the specifically chosen pops of shine, but the thing that's really impressive to me is that this palette feels sturdy. There's really nothing that feels cheap to me about it. Next, obviously, we have to talk about the curation. First, I think that each quad that the palette is separated into is really smart. 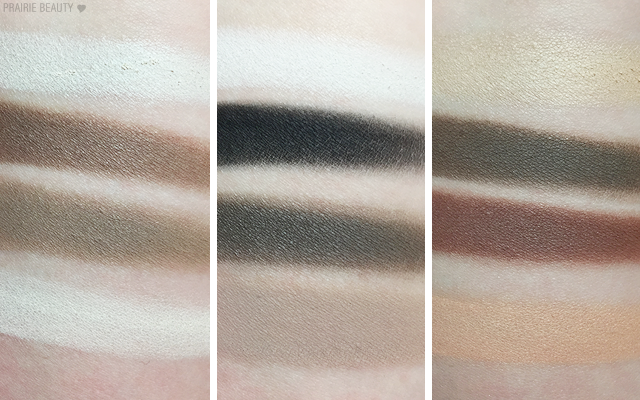 On the left, you have your true neutral shades that lean a little bit cooler and really tend to be good for most skin tones and a lot of different eye looks. In the center, you have smoky greys and a true black. And finally, on the right you have your warmer toned neutrals that are very, very much on trend right now. I honestly just don't feel like there's anything missing from this palette for me, which is impressive because with most palettes in my collection there's always at least one shade that I feel was left out of the palette but I don't feel that with this. The biggest thing that I like about this curation is that it works really well used alone for a wide variety of all matte looks that are staples in my routine, like classic smoky eyes and simple contoured eye looks, but it's also the perfect pairing palette to be used with other palettes and singles. I feel like every look you do needs at least a couple of these shades, so when they aren't present or don't blend as well in other palettes this is a great staple to reach for. Now onto the thing that I think makes this palette stand above pretty much any competitors in this all matte neutral palette category: Formula. From the very first little quad I bought from KVD, the brand has seriously impressed me with their formulas and I feel like they just keep getting better, and this palette is definitely a testament to that. I find all of the shades in this palette to be of the same quality. They've all got really strong pigmentation and I find that they all apply with beautiful opacity and blend really seamlessly. I think the blending is the biggest thing for me, since I do find that even matte shadows that are highly pigmented can end up getting a little bit patchy when blended out. These, however, just blend like an absolute dream and I always end up with a look that I really love when I use this palette. One thing that I think bears mentioning is that these shades can definitely kick up some powder when you put your brush into them, but I find that with these really soft, creamy type formulas it's the ones that get a little bit powdery that end up blending the best on the eye. These are definitely an example of that. Honestly, even though it looks really basic and it can feel like you already have most of these shades in your collection, I really do think that this palette is worth picking up for both the ease of having them all in one place and the fact that the Kat Von D formula is just completely top knotch. At a lower price point, there are some great all matte palette options, but I really do think that this formula proves itself to be worth the higher price tag. I know that we always lust after what's new and hot on the makeup radar, but I think this is one of those palettes that's just going to stand the test of time and be a bit of a must have! 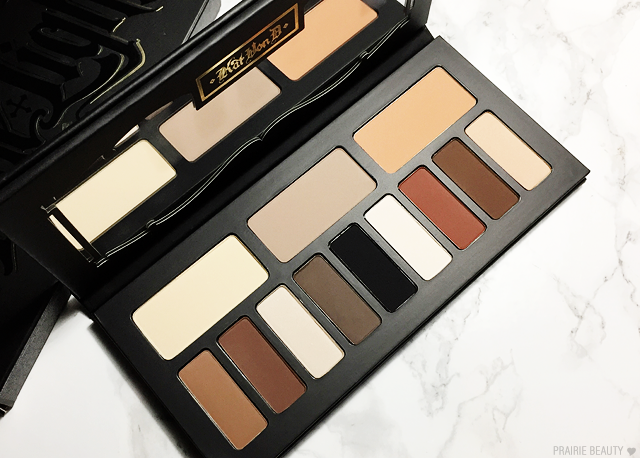 The Kat Von D Shade & Light Eye Contour Palette is available exclusively at Sephora and retails for $62CAD.